Many think it is not necessary to preshrink fabric. Many people often change their minds after a garment they made without preshrinking the fabric goes through the laundry. It's usually worth the time to preshrink your fabric before sewing in order to avoid any mishaps after your garment is made. Preshrinking fabric will also let you know how it holds up to being laundered. It's a true test of the durability of your fabric and an important step before sewing. Here you'll learn how to preshrink all different types of fabrics. Read the end of the bolt when you purchase fabric. Most bolts will also describe the best way to launder the fabric. Knowing the fiber content will guide you on the best ways to launder and preshrink the fabric. Use your cell phone to take a picture of the bolt end with the fabric so that you won't forget any of the information once you get home. Use the method on the bolt end for anything you will be sewing as a gift. You will not have control over how the gift recipient will handle laundering the garment but it's a good idea to include some instructions with the garment. If you are using the fabric for something for yourself, use the laundering method you will use when the garment is finished. If you are going to use warm water to wash the garment, use warm water to wash the fabric before you make anything with the fabric. If you use high heat on everything you put in the dryer, use high heat to dry the fabric. 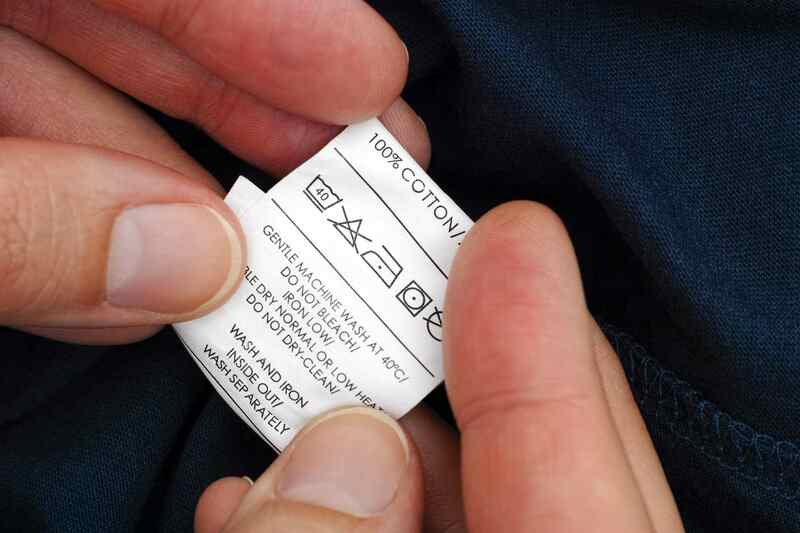 If a fabric is labeled as dry clean only, dry clean it to preshrink it. Many people will hand wash something that says dry clean only. If you are going to launder the fabric, it's best to use that same method on the fabric before you construct something with it. Cotton fabric is a natural fiber and it will shrink. Many cotton fabrics will be marked as pre-washed but may still shrink. Wash and dry the fabric so that you know the shrinking is done before you sew a garment. Flannel is known to shrink. Use hot water and a hot dryer to obtain the maximum shrinking during the preshrinking process. Repeat the process if you have any doubt that the fabric may shrink even more. Quilting Weight Cotton is readily available in most fabric stores and the quality of these fabrics varies widely. Don't take a chance! Dyes often wash out from the fold in the fabric. Broad Cloth is a heavier weight than quilting fabric but should be preshrunk to prevent it shrinking when you are done with your project. Voile or Lawn usually requires a gentle machine setting or hand washing. Put this type of fabric in the dryer for a few minutes to remove the wrinkles that washing creates before line drying it in order to preshrink it. Linen is a natural fiber and tends to shrink in the laundry. The fibers also soften after they have been washed so for the finished "feel" of the fabric and to prevent a project from shrinking, wash it in hot water and machine dry it before you create anything with the fabric. Wool fabric is made from natural fibers and may be blended with other fibers. All most all of them are labeled "dry clean only" and you are wise to do just that! Using "easy care" rather than "clean and press" is usually less expensive and gets the job done. If you never go the dry cleaners and know you will not take the finished item to the cleaners, try your washing method on a measured sample of the fabric to test the shrinking. In other words, cut a 5-inch sample of the fabric and finish the edges of the sample. Measure the sample with the finished edges. Once your preshrinking method is done, measure your sample and make sure you still like the feel of the fabric before you preshrink the entire piece. Everyone loves the luxurious feel of silk and many laundering processes are acceptable. Using the "sample method" described for wool fabric is recommended here. Many will argue that polyester, fleece, and man-made fibers don't shrink. Even if they don't shrink, they may contain finishes that wash out and change the feel and hang of the fabric. The way the fabric is woven is also apt to change in the laundry. Anything sewn into the garment is going to be subjected to laundering. Things like fusible interfacing cannot be washed and dried without damaging the fusible option of the interfacing. Many fabrics and trims can not use fusible options if they have not been pre-washed or preshrunk because the finishes in the fabric prevent it from fusing to the fabric. When in doubt, preshrink a sample as described in the wool fabric method. Hand washing and line drying are best if you have any doubt but it's uncommon to preshrink fusible interfacing. If you know a stabilizer is going to shrink up in a sewn project, and preshrink it, press the stabilizer before you use it. It's also a good idea to preshrink bias tape and almost all trims. Placing the items in a small garment bag keeps them from becoming tangled in the laundry.